GST is Goods and Service Tax which has been applicable since the 1st of July 2017. It is a single tax being levied on all goods right from the manufacturer to the consumer. This single indirect tax is being used for the whole country thereby unifying India. Credits of input taxes paid at each stage will be available in the subsequent stage of value addition, thereby making GST essentially a tax only on value addition at each stage. The final consumer will thus bear only the GST charged by the last dealer in the supply chain, with set-off benefits at all the previous stages. There isn’t any distinction between any good or service with GST as it is all combined into a single tax system. This reduces tax evasion. GST will ensure that indirect tax rates and structures are common across the country, thereby increasing compliance and facilitating ease of doing business. This is because with GST implementation, doing business in our country will now be tax neutral, irrespective of the choice of place of doing business. With GST, there is going to be a seamless system of tax-credits throughout the value chain across States. This helps facilitate minimal cascading of taxes thereby reducing hidden costs of doing business. Additionally, invoicing is also made easier for businesses with the adoption of a single rate. GST is beneficial with the removal of entry tax into states. This means goods can be delivered to any part of India without having to pay tax towards it. This removal of taxation is expected to reduce expenses of most businesses by 20% approximately. If an SME is into e-commerce, it would be beneficial in terms of deliveries being made faster with an efficient logistics team in place. Aggressive SMEs with a healthy balance sheet might even look at loan procurements like equipment financing or working capital loans. This will help them scale up and take their business to a new level of growth. Post GST implementation, businesses with an annual sales turnover of Rs. 10 lakhs to Rs. 50 lakhs, would be levied a lower rate of GST. Businesses with a sales turnover of under 20 lakhs would be exempt from GST and would be out of the tax net thereby relieving them from the collection and filing of GST returns. This is a much easier system than the previously existing VAT system wherein different states levied a different rate depending on your turnover thereby creating complexity for smaller businesses. The new GST system has a lot of added knowledge in terms of the software and otherwise which will help the businesses in the long term. However, in the interim, for GST implementation, an expert has to be hired to set systems in place. SMEs will face additional costs while they look to hire one. GST implementation is an online process and it is imperative for businesses to be tech-savvy to achieve that. Whilst most of India is moving towards the digital route, businesses in smaller cities of India are still burdened with the technology problem and will need a cloud-based software to solve their problems. This incurs costs and you need to train your personnel in uploading the invoices online as any discrepancy in the invoice will be caught by the software thereby increasing efficiency. Thus, SME’s will need to train their employees too in GST compliance, thereby incurring further costs. 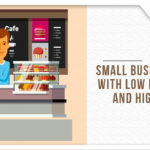 Businesses might need to take small business loans to equip themselves to face the additional cost burden. GST came into power in July 2017, until then businesses were used to an older system. Soon after they had to switch to raising invoices under the GST norms. This has been chaotic as SMEs cannot adopt the new system within in a day. Some industries like cloth merchants are on strike opposing the tax rate on their industry. It has also affected the finance industry by a small extent with the tax rate increasing from 15% to 18% on small business loans or working capital loans. Whilst this percentage change is a small one, with processing fees increasing, collateral-free business loans from online platforms with transparent charges might be a faster option for SMEs in need of funds. Due to GST, the SMEs will dedicate a large amount for taxation. The current GST regime has increased the tax burden on manufacturing SMEs with the turnover limit of manufacturers being reduced to 20 lakhs becoming taxable under GST. Previously, turnovers up to 1.5 crores were exempt from excise duty. GST does not differentiate between normal and luxury goods which make it difficult to compete with large enterprises. Thus leading to the increase in the cost of products. In conclusion, GST has created a new system to be followed for SMEs which whilst in the beginning might be difficult but the long-term rewards of it might lead to a healthier Indian economy.